Dr Jill Stanley, president of the NZIAHS, responded to the announcement of the new Primary Sector Council by pointing out something glaringly absent from its composition: scientists. Announcing the membership of the council last month, Agriculture Minister Damien O’Connor said the group of 15 innovative leaders from across the sector will provide fresh thinking at a time when New Zealand’s primary sector is facing unprecedented levels of change. The council will be chaired by Lain Jager, former Chief Executive of Zespri Group. Its members are Nadine Tunley, Puawai Wereta, Tony Egan, Julia Jones, John Brakenridge, Stephanie Howard, Shama Lee, Mark Paine, Julian Raine, Neil Richardson, Miriana Stephens, John Rodwell, Steve Saunders and Steve Smith. … But where are the scientists, Dr Stanley wanted to know. The council will provide independent strategic advice to the Government on issues confronting the primary industries with an immediate focus on developing a sector-wide vision. “Does that vision coalesce around ideas of sustainability, grower to plate storytelling, pasture-fed protein, smarter use of water and appealing to consumers who are prepared to pay more for products that align with their personal values?” Mr O’Connor asked. The council will have its first meeting later this month. Once it has developed a sector-wide vision it will work with each sector to develop individual strategic plans. These plans will include elements such as sustainable development, future value creation, technological opportunities and how a focused and thriving primary sector can reinvigorate rural communities, Mr O’Connor said. “We’ve heard a lot recently about alternative proteins and the potential impact on our meat and dairy sectors,” Mr O’Connor said. “We also know some change will be required on environmental sustainability and a shift away from a commodity and volume focus. This move will give the primary sector its social licence to reap the opportunities of changing consumer trends. “Kiwi growers and farmers have an immense collective knowledge and energy; they know sitting still is not an option and are constantly looking at ways to improve their operations. The Primary Sector Council will help harness that expertise. The Young Horticulturist of the Year and the Young Farmer of the Year will be invited to attend sessions as a development opportunity. 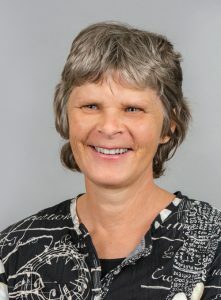 One big question is glaringly raised by the composition of the newly announced Primary Sector Council, says Dr Jill Stanley, president of the New Zealand Institute of Agricultural and Horticultural Science. The question is: where are the scientists? Damien O’Connor, the Minister of Agriculture and Rural Communities, has described the council as a group of visionary agribusiness leaders whose task is to help our primary sector capture more value from its work. Its first job will be to develop a sector-wide vision, taking account of ideas – for example – of sustainability, grower-to-plate storytelling, pasture-fed protein and smarter use of water. Good science is an essential component of each of those and will be in most other ideas the council considers. The council includes Mark Paine, Strategy and Investment Leader for People and Business at DairyNZ and previously the Dairy Australia Principal Research Fellow at the University of Melbourne. His job at DairyNZ is to address issues of recruitment, employment relationships, leadership and career development in the dairy industry. He oversees the strategy and investment in dairy education and training, from apprenticeships through to post graduate scholarships and is responsible for the industry strategy pertaining to the development of resources for farm business management. Beyond Mark’s name on the list of 15 appointees, there are no scientists. This is a disappointing reflection on the perceived value of including agri-science leaders, be it senior scientists at AgResearch, Plant & Food Research, Landcare Research, Scion and ESR, let alone Massey or Lincoln Universities. Presumably this is a deliberate oversight, giving expression to a ministerial embrace of “modern-think” whereby it is believed science will follow the lead set by innovators in business. This is contrary to experience: history shows science has led the way and enabled new opportunities in business to emerge. The chairman of the new council, Lain Jager, at least should have a good understanding of what science can do for the primary sector’s sustainability and profitability. 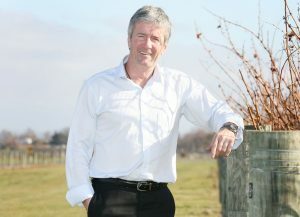 He is a former chairman of Zespri, the world’s largest marketer of kiwifruit and a company which owes a great deal to the multidisciplinary team from Plant & Food Research, led by Chief Operating Officer Dr Bruce Campbell, which in February was awarded the 2017 Prime Minister’s $500,000 Science Prize. The prize was awarded for the team’s rapid and successful response to Pseudomonas syringae pv. actinidiae, or Psa, which threatened the destruction of the New Zealand kiwifruit industry in 2010. The industry’s recovery was enabled by the team’s development of a new gold-fleshed kiwifruit cultivar, Actinidia chinensis var. chinensis ‘Zesy002’, referred to by growers as Gold3 and sold around the world as Zespri® SunGold Kiwifruit. Hundreds of genetically-diverse selections were screened and evaluated to find new cultivars with increased tolerance to the disease while meeting grower requirements and consumer demands for taste. Forty-eight million trays of the new cultivar were sold last season, with an export value of $686 million, up 70 per cent on the previous year and increasing by around 10 million trays a year as newly-grafted vines reach production. According to notes on the science award website, it is estimated that less than half the economic and social benefits would be achievable without SunGold. The team also developed molecular diagnostic tests, a world-first and a breakthrough in the fight against Psa which enabled rapid testing of orchards to inform management plans and provided a mechanism to screen new cultivars. The track record of this team and so many of our other agri-scientists is hugely impressive. It’s a shame Mr O’Connor has bypassed them. Dr Stanley wonders how the council will be able to obtain the strong voice for science that they obviously need to achieve their goals. Will Mr O’Connor consider expanding the council? If he doesn’t, will the council realise the need to draw on key people from the Royal Society and the CRIs, or possibly consult the Prime Minister’s Chief Scientist? Whoever they involve, science clearly must play a key role in the plans that the council recommends for creating a value-added primary sector. 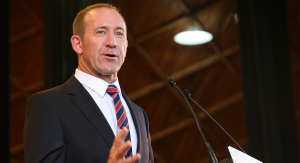 In a follow-up to the release of the press statement, Dr Stanley reminded her interviewers and RadioLive’s Rural Exchange audience of something Labour’s Andrew Little told Federated Farmers almost a year ago. Mr Little was Labour’s leader when he told the feds: “The future of New Zealand’s primary industries can be summed up in two words — science and sustainability. In the speech he acknowledged that modern farming is a scientific endeavour. This reinforces Dr Stanley’s insistence during the RadioLive interview that – at the very least – the new Primary Sector Council should have scientific advisors.